It's the second week of December and this is one of the busiest times online for holiday shopping - or at least, that's how some retailers infer it with their "Green Monday" marketing moniker earlier this week. Now that we're within striking distance of Christmas, Walmart has opened up the discount war chest by offering five Xbox One S bundles for $199 with free two-day shipping. While multiple retailers are running the ongoing $50 off promotion that Microsoft launched last week, these are significantly better given the discount is a full $100 off. Best of all, many of these bundles were discounted only by $80 during Black Friday. 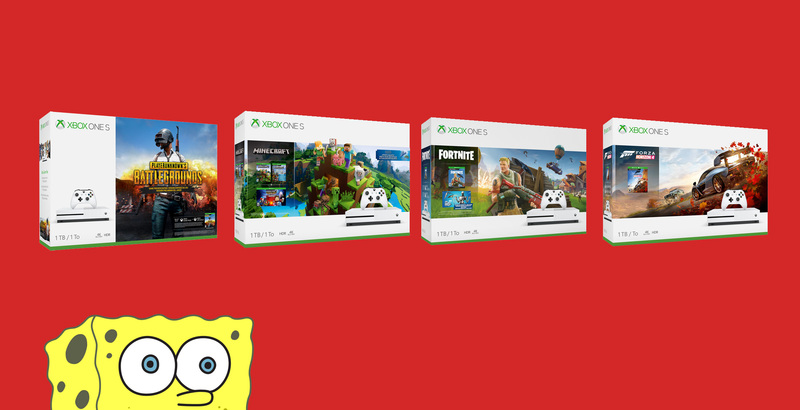 Available bundles are Fortnite, NBA 2K19, Forza Horizon 4, Minecraft Adventure, and PUBG. Previously, the Battlefield V bundles were briefly available for the same $199 discount but unfortunately, the price has now returned to the higher $219 price tag. The same $100 off discount also extends to the Xbox One X, with the Fallout 76, NBA 2K19, and PUBG bundles on sale for only $399. (The standard game-less Xbox One X is also on sale for $399 but you might as well get a game out of it for the same price). Walmart didn't explicity mention any expiration date but suffice to say these are while stock are available.